All Amazon Nature Tours tours, river cruises, expedition cruises, and adventure trips. Find the best guided trips and expert planned vacation and holiday packages. 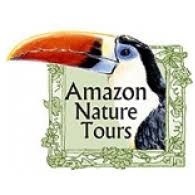 Average rating of 5.0 for all Amazon Nature Tours trips. Enjoy as you sail through three different rain forests: igapó, terre firme,and varzea. See large collections of plants, animals and birds. Explore the Lago Janauari Ecological Park where the thick brown water of the Amazon flows swiftly through the forest. Visits the most essential areas to observe the wildlife and culture of the rainforest.